It’s about webcams, webcams in Massachusetts, webcams in Cape Cod, Marthas Vineyard, the mountains and more. 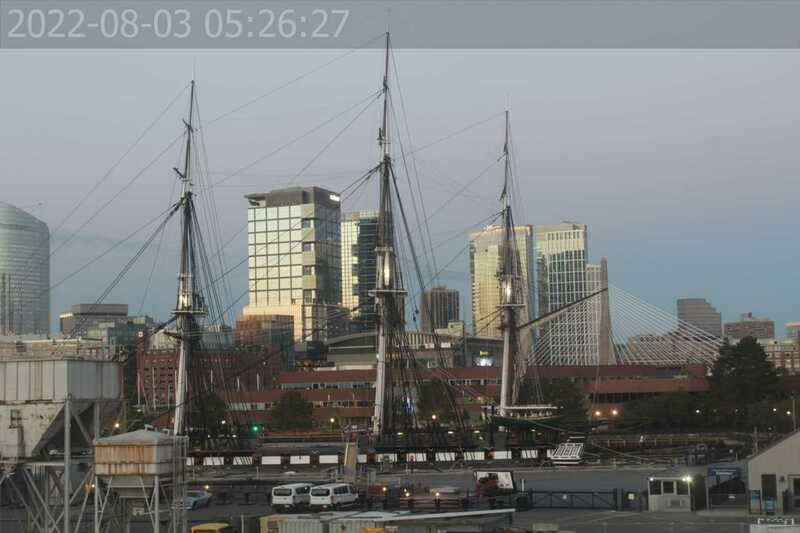 MassWebCams.com is brought to you by Daniel Eosco and Maine Hosting Solutions. Started in 1991, the first such camera, called the CoffeeCam, was pointed at the Trojan room coffee pot in the computer science department of Cambridge University. The camera was finally switched off on August 22, 2001. The final image captured by the camera can still be viewed at its homepage . The coffee machine was later bought by Spiegel Online for DM 10,452.72; it was repaired for free by Krups and can now be viewed here:  The oldest webcam, as the technology came to be known, still operating is FogCam at San Francisco State University, which has been running continuously since 1994. As with many new technologies, webcams and webcam chat found early commercial adoption and aggressive technology advancement through use by the pornographyindustry. The adult industry required ‘live’ images and requested a Dutch developer to write a piece of software that could do this without requiring web browserplugins. This led to the birth of the ‘live streaming webcam’, which is still available in various forms today. and is still being updated and upgraded. One of the most widely reported-on webcam sites was JenniCam, started in 1996, which allowed Internet users to constantly observe the life of its namesake, somewhat like reality TV series Big Brother, launched three years later. More recently, the website Justin.tv has shown a continuous video and audio stream from a mobile camera mounted on the head of the site’s star. Recently, Apple and other computer hardware manufactures began building webcams directly into laptop and desktop screens. This eliminates the need to use an external usb or firewire webcam. Webcams typically include a lens, an image sensor, and supporting circuitry. Webcams typically include a lens, an image sensor, and some support electronics. Various lenses are available, the most common being a plastic lens that can be screwed in and out to set the camera’s focus. Fixed focus lenses, which have no provision for adjustment, are also available. Image sensors can be CMOS or CCD, the former being dominant for low-cost cameras, but CCD cameras do not necessarily outperform CMOS-based cameras in the low cost price range. Consumer webcams usually offer a resolution in the VGA region, at a rate of around 15 frames per second. Higher resolutions, as well as higher frame rates of up to 30 fps, are also available from the brands like Microsoft, Logitech, and HP. Support electronics are present to read the image from the sensor and transmit it to the host computer. The camera pictured to the right, for example, uses a Sonix SN9C101 to transmit its image over USB. Some cameras – such as mobile phone cameras – use a CMOS sensor with supporting electronics “on die”, i.e. the sensor and the support electronics are built on a single silicon chip to save space and manufacturing costs. Most webcams feature built in microphones to make video conferencing more convenient. Creative Technology has introduced a webcam featuring built in noise cancellation to focus the audio to the speaker who is directly in front of the camera, excluding ambient noise. The USB video device class (UVC) specification allows for interconnectivity of webcams to computers even without proprietary drivers installed. Microsoft Windows Vista, Linux and Mac OS X 10.4 & 10.5 have UVC drivers built in and do not require extra drivers, although they are often installed in order to add additional features.